If you are traveling around in Cameron Highlands, you will surely enjoy the cool and relaxing weather here where you can go around the farms where you can find out how tea is produced as well as flowers and fruits. Here is where will be able to enjoy one of the best places to spend your vacation with groups of friends and families in which there are many accommodation options to choose from. If you are looking to go around at your own time and space, then homestays in Cameron Highlands would be a great place to stay in. If you are looking for a cosy and comfortable environment to stay in, you can go towards the Greenhill Resort apartments where you can find a 5 bedroom apartment with 2 balconies homestay option. This is where you will be able to stay within an apartment which can comfortably fit up to 12 people. Rates at the Greenhill Resort Homestay starts from RM700 per day where you will be accorded with a large living room and dining area. The Greenhill Apartment Homestay offers a great place to stay where you will be able to enjoy the cooling air as well as a great mountainous landscape view. The Greenhill Apartment Homestay also include a breakfast for all you and your group of friends and families. Jalan Gereja, 39000 Tanah Rata, Cameron Highlands, Pahang. Cameron Highlands is one of the most popular highland destinations in Malaysia. This is where you will be able to enjoy a cool and peaceful destination that offers you a unique experience in which you can see how tea is produced as well as towards the likes of the strawberry, vegetables and bee farms all around Cameron Highlands. There are many accommodation choices located around Cameron Highlands while you can also stay within the more affordable and cosy environments of homestays. If you are looking for a local way of living where you can go around Cameron Highlands at your own pace, then the Ringlet Homestay would be quite an ideal place to go. Offering an alternative and unique accommodation choice, you will be accorded with a very convenient place at Ringlet Homestay with rates starting from RM250 per night. Here is where you will can easily get around Cameron Highlands while dwelling among the local friendly people. The Ringlet Homestay is located in Ringlet where it is only about 15 minutes away from Tanah Rata and it’s the first township if you take Tapah route. In Ringlet Homestay, you will be accorded with television with Astro channels, 3 rooms and home appliances like cooking equipments as well as hot shower fitted bathrooms. If your idea of a perfect vacation is to go around the highlands and enjoy the cool and peaceful weather while walking around vegetables and strawberry farms, then you must go to Cameron Highlands. This is one of Malaysia’s most popular tourist destinations where Cameron Highlands greets thousands of visitors each day to its slopes. 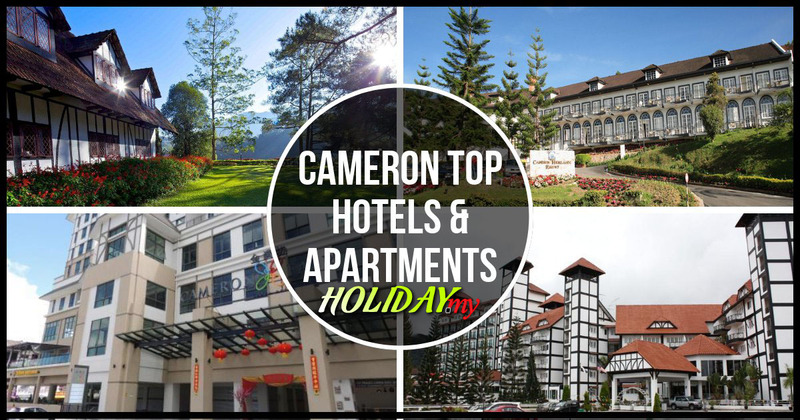 In Cameron Highlands, there are many options when it comes to accommodation where you can find hotels which are either upscale or budget ones. Apart from the usual hotel environments and such, you can also choose to stay in a more homely and truly comfortable environment which are provided by operators like Homestay Puncak Arabella. This is where you will find a self-catered apartment that comes with 3 bedrooms and 2 bathrooms. Located in Tanah Rata, you will be located not far from the major sites of Cameron Highlands while away from the busy town centre. From here, you can enjoy the relaxing and laid back environment of the surroundings that offer you a great view. Rates at Homestay Puncak Arabella starts from RM280 per night for the whole unit and you will be able to enjoy the in-house facilities like kitchen equipments and Astro television. Tanah Rata, Cameron Highlands, Pahang.